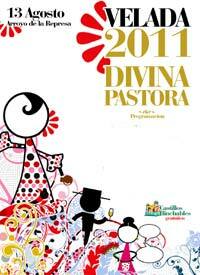 La Velada de la Divina Pastora festival (an evening in the neighborhood of the Divine Shepherdess) is to be held on Saturday August 13, 2011 at Arroyo de la Represa starting at 17.30. This neighborhood is one of the most emblematic is Marbella and includes over fifteen thousand inhabitants who make this party a fun celebration for everyone. This party, held since the late 80's, is one of the oldest summer festivals in the city, and has a very positive turnout. Throughout the celebration there will be a children's party, from 17.30 to 20.30, which includes a contest of traditional games with medals and prizes among other activities. Thereafter, watch the Capoeira exhibition and dance to a local orchestra that will entertain you all night. Like every year there will also be a tribute to the neighbors.